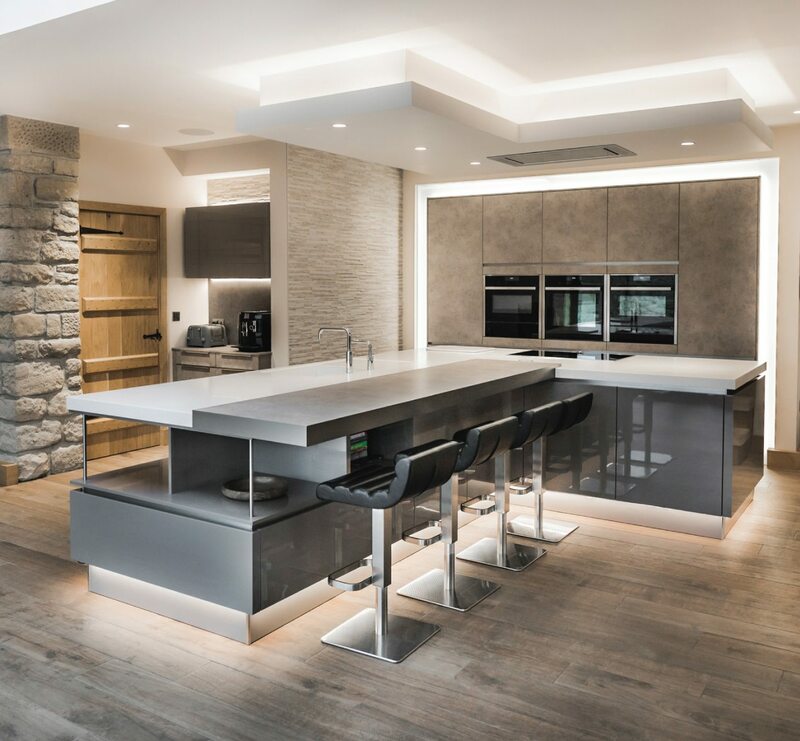 A strong symmetrical element is one of the defining features of this kitchen for Tracy and Simon in Colne, who gave designer Simon Thomas plenty of creative freedom to create a spacious, family-centric design. 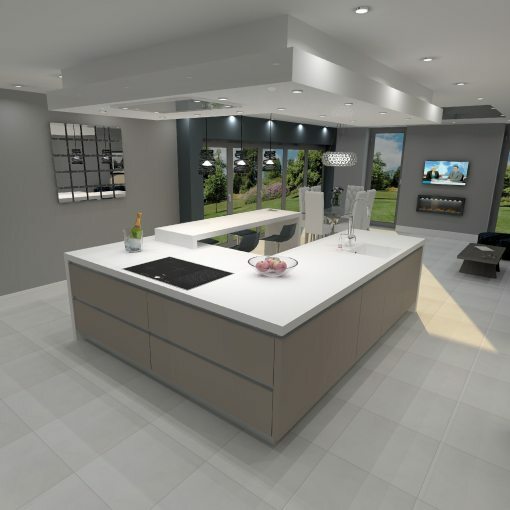 Simon designed this modern German kitchen to have a strong symmetrical element, which has become one of the defining aspects of the design. As part of this symmetry, Simon specifically designed a larder unit to match the Gaggenau fridge and freezer door. 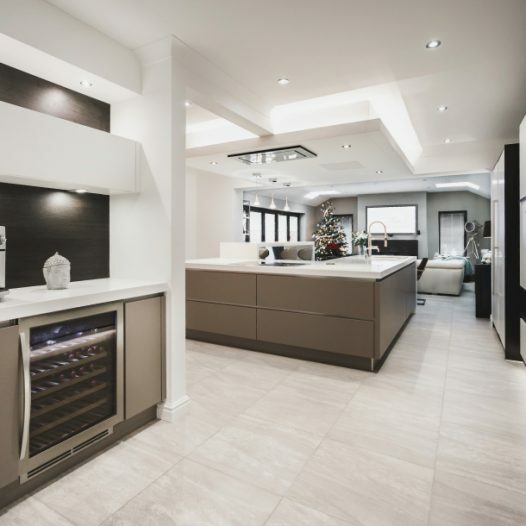 This larder makes use of a passive infrared sensor-activated light system, and provides extra pantry-style storage for quick and easy tidying between meals. Further storage is also provided by a set of floating midi units and drawers mounted onto the wall, fulfilling a key requirement for Tracy and Simon. 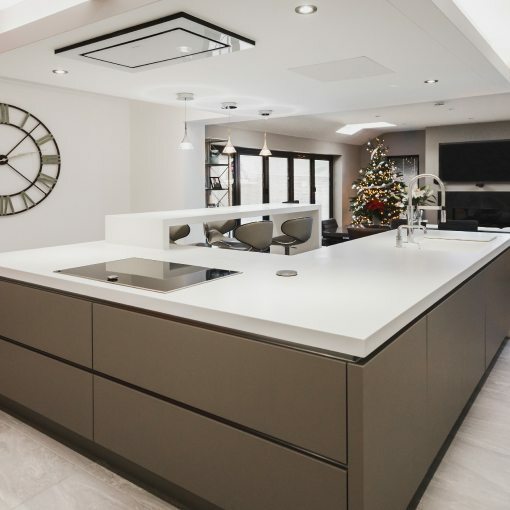 A sizeable kitchen island was high up on the list of the couple’s requirements when they presented their initial brief to Simon. They planned for this island to be central to their family-centric dream kitchen, acting as a place they could all gather for meals. 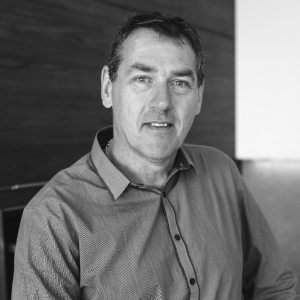 Simon rose to the task by using his design expertise to create a kitchen island that faces outward into the room – this way, no one in the kitchen has to have their backs to each other as they enjoy each others’ company, enabling them to easily spend quality time together without having to twist and turn to maintain conversation. 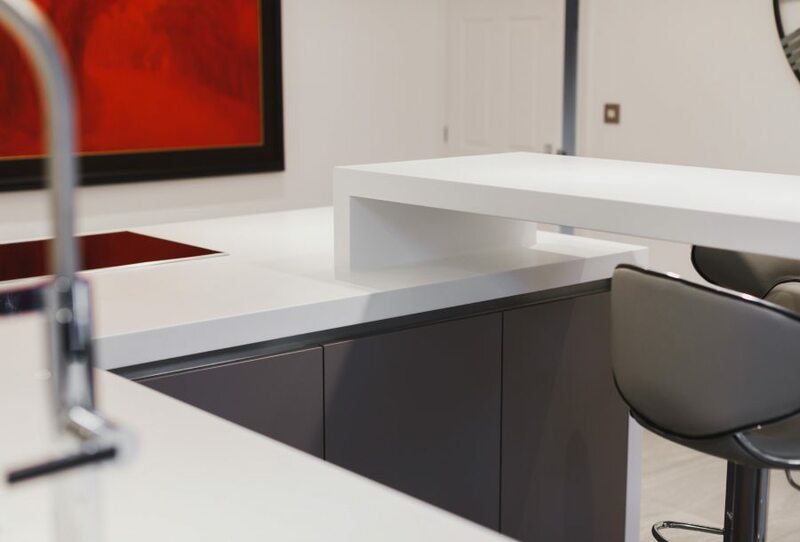 Both the island’s work surface and the adjoining breakfast bar (which has been built to Tracey and Simon’s exact specifications) are made from a single, specially fabricated piece of Corian. 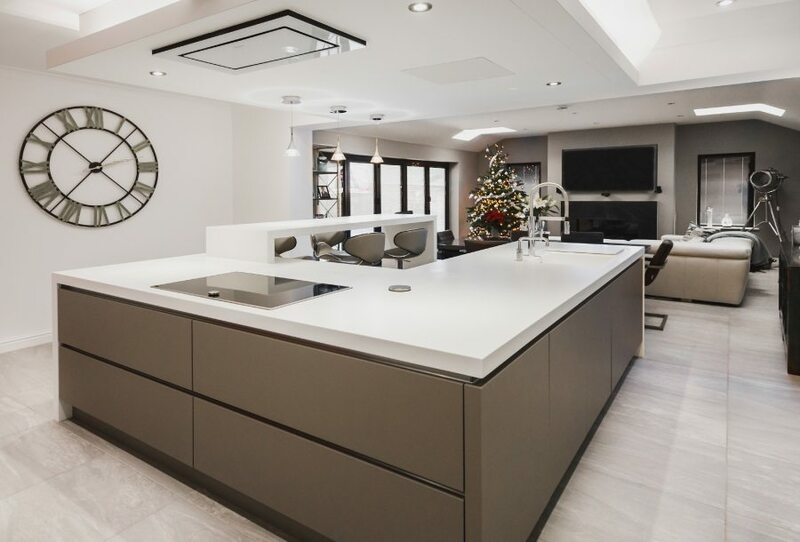 As a true demonstration of Corian’s versatility, the island’s worktops continue over its edges and right down to the floor, forming a single, seamless piece without than any visible joints or end panels, giving the island a fabulously clean aesthetic. 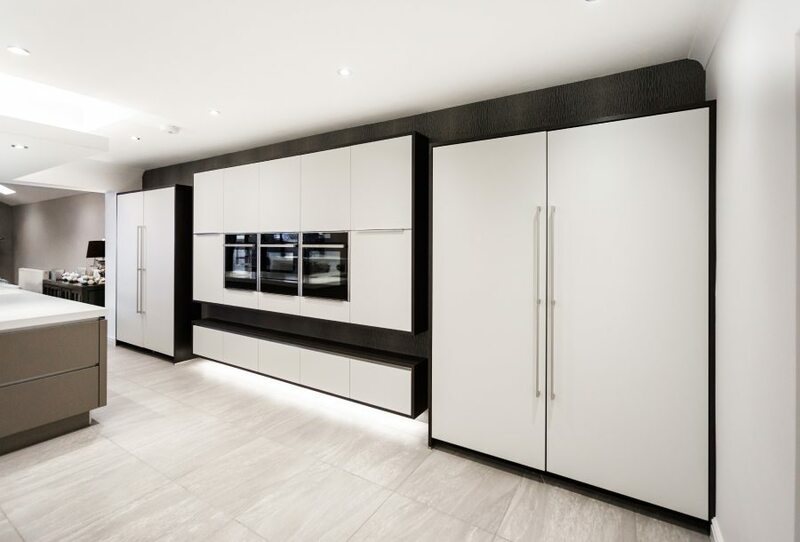 Meanwhile, it also offers increased storage in the form of ‘touch-to-open’ doors to the floor which fit in beautifully with the kitchen’s modern, handleless design. 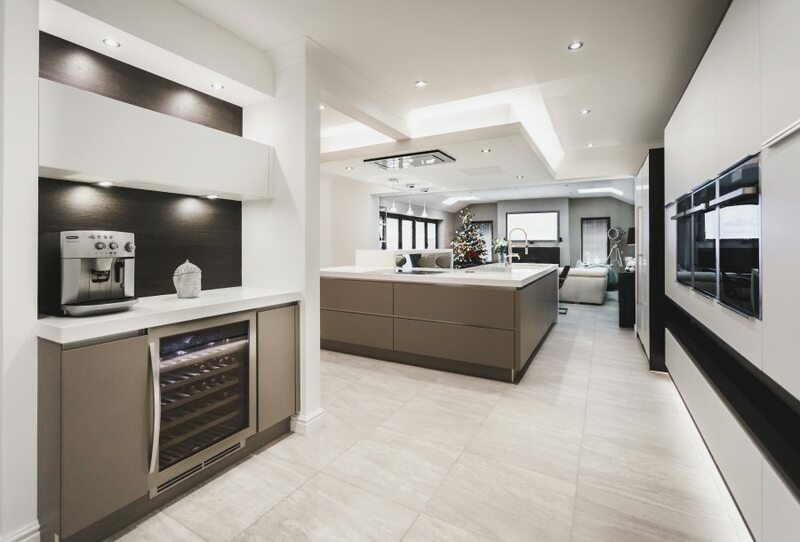 When it came to appliances, the couple wanted lots of oven space so they’d have plenty of capacity to cook delicious meals for their family, as well as two dishwashers that were capable of keeping up with the demand. Simon suggested two dishwashers from industry-leading supplier Neff. They make up just a few of the high-tech appliances in the finished kitchen, many of which have also been recommended by Simon personally. 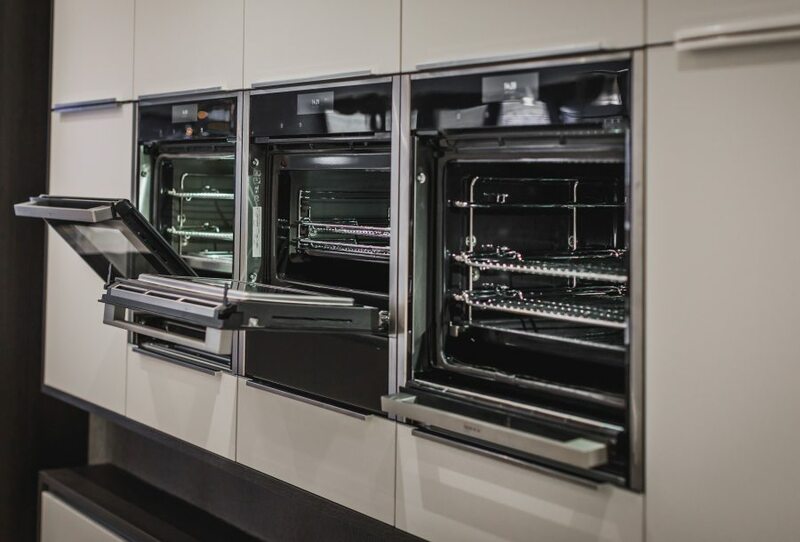 These include a Neff oven, steam oven, and a Neff combi microwave and plate warmer, while a Neff Flex Induction Hob allows for increased efficiency when cooking, using an electromagnetic circuit to ensure that it’s only ever using as much power as it needs. 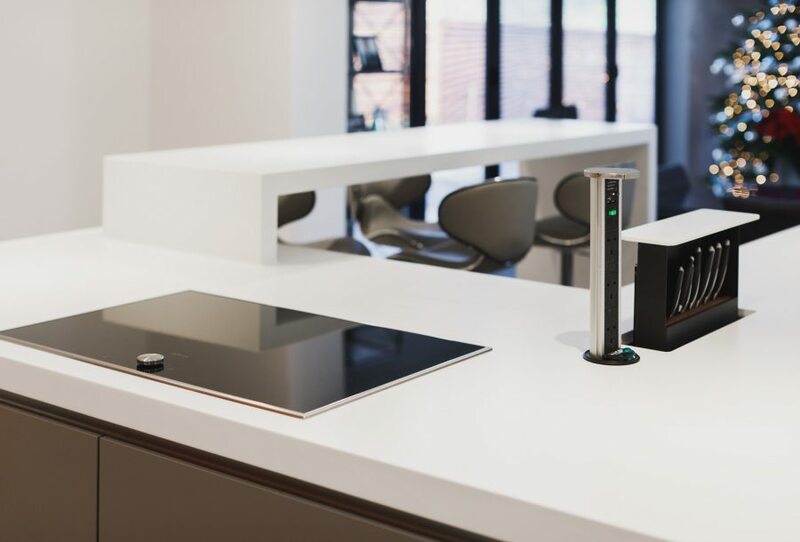 Above them all, a Faber Heaven extractor channels away any unwanted cooking smells between meals. 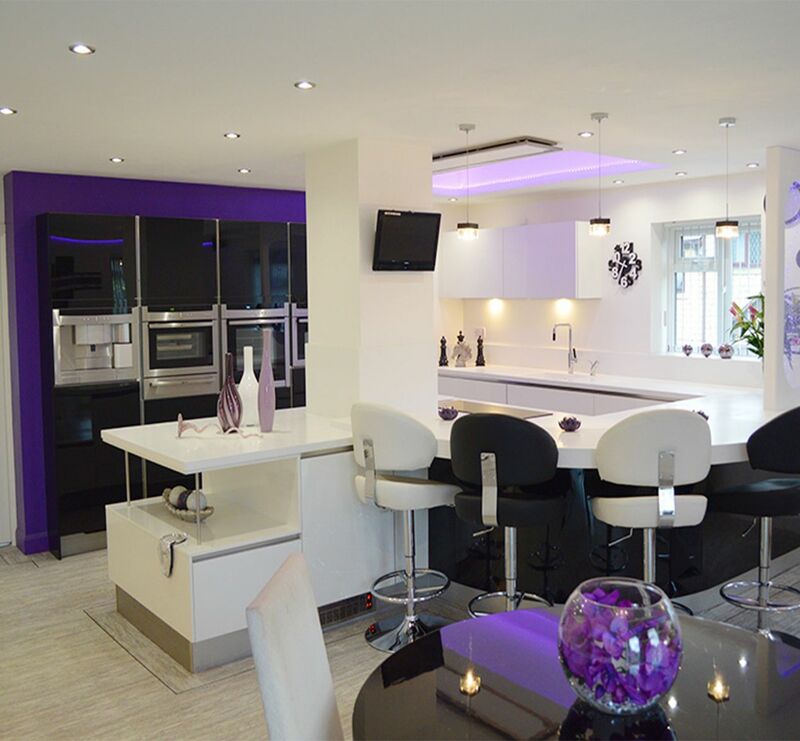 "Our kitchen does exactly what it says on the tin and we are really over the moon with Simon and Kitchen Design Centre. To be honest, there’s very little more I can say!" 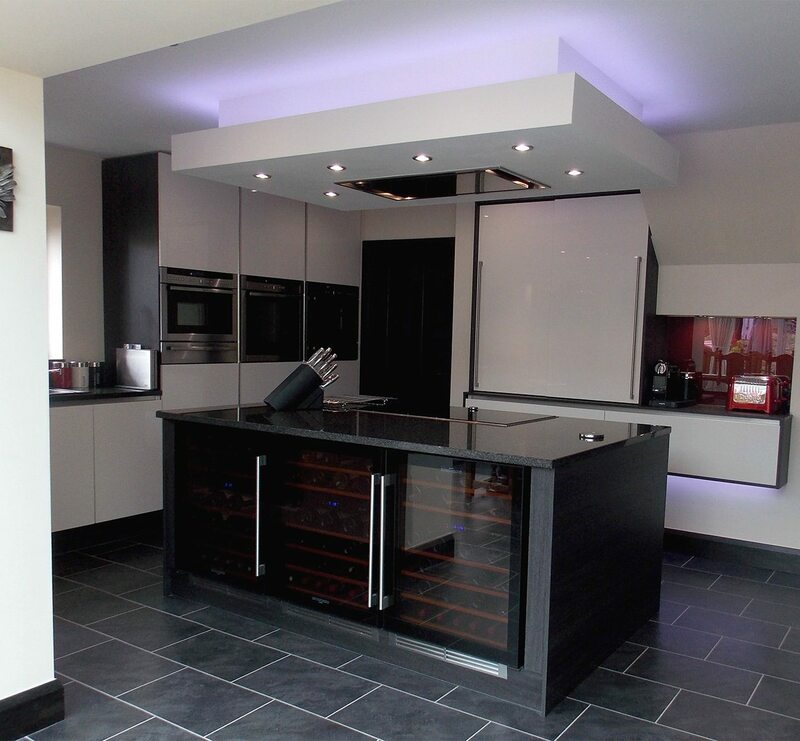 "It was a pleasure to be able to work so closely with Tracy and Simon on creating their ideal kitchen. It was fantastic to see the way the design gradually evolved over time, developing a practical and functional feel that’s very evident in the finished design. Finally, the symmetrical aspect to it gives the kitchen an intriguing extra dimension. "